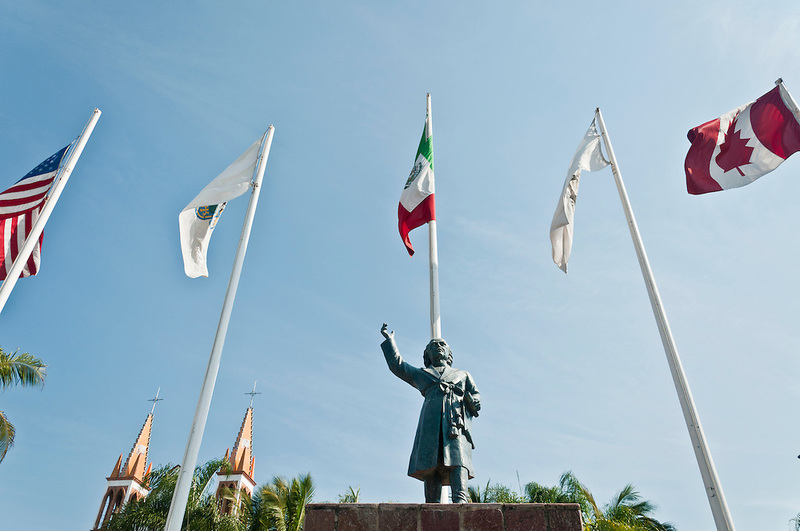 A bronze statue of Miguel Hidalgo with flags raised proudly, stands in Hidalgo Square. The small park is found at the end of Puerto Vallarta's Hotel Zone, one block away from the boardwalk (Malecón). Photo by William Drumm.